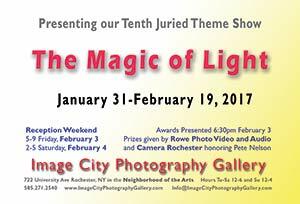 This year's exhibit, The Magic of Light 2017 has been another terrific success. With 103 photographers exhibiting more than 150 photographs juried into the show there is such a fine demonstration of the photographic talents and diverse photographic themes that we have come to expect each year. We have already heard many comments observing that it gets better each year. This is the tenth year we have invited photographers to submit their photographs for the annual exhibition and it is apparent to us that there continues to be a significant advancement in the "magic" that they bring to their artistic talents. Adding to the strength of the exhibit, Artists-in-Residence, David Perlman and Jim Patton, are exhibiting in the East Gallery. We very much appreciate the participation and support by all of the photographers The Magic of Light 2017. Four awards were give with the selection of two Partner's Picks and those attending the opening reception selected their People's Choice. 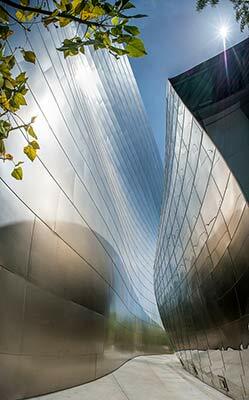 Winning Partner's Picks was Peter Blackwood for his photo Light of My Life and David Bleich for Disney Concert Hall, Interior 2016. The People's Choice was Off White Balance by Clay Arnold. The were each awarded gift certificates from sponsor Rowe Photo Video and Audio. 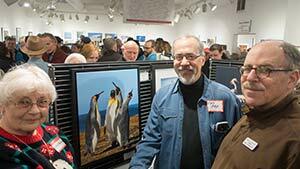 We very much appreciate the support of their sponsorship of the awards and encourage all to patronize this classic photography businesses supporting the photographic communities of Rochester and region There will also be an award by Camera Rochester in memory of Peter Nelson awarded to Gary Paige for his photo, King Penguin Quartet - Falklands. You will enjoy learning more about the awarded photographs in articles later in the newsletter. .
Click Here to see our website listing and a link to a preview with a selection of the superb photographs by the artists in the show as well as a link to the award-winning photographs.. Awards were given for three photographs in the exhibit by Rowe Photo Video and Audio, a sponsor of Juried Shows a Image City. Descriptions of the photographs are by the artists and give us insight into the taking and making of their winning photographs. Light of My Life by Peter Blackwood. This alley in Canandaigua is just outside of a gallery that I am a featured 'permanent' artist in; the Finger Lakes Gallery and Frame. I had been observing the light in the alley for some time while coming and going, and realized that during March and April the 'golden hour' setting sun beamed half way up the alley creating a light and darker area of brick illumination and potential for dramatic shadowing. 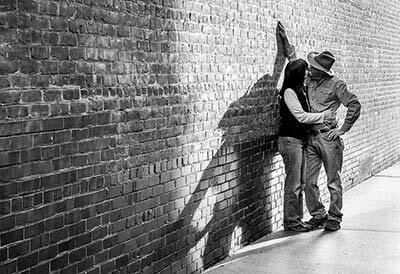 Using myself and my wife as 'models', and using tripod and timer, I was able to position the 'models' so their shadow barely blended into the darker area of brick. Peter Blackwood with Vicki Sturble, who presented the award for Rowe Photo Video and Audio, and Steve Levinson and Gil Maker. I processed this image using Adobe Lightroom. Because of the dramatic lighting based on the aspects of bright, dark, and shadow areas, I found that converting to black and white (with Lightroom) brought out those aspects as well as adding a style that matched the somewhat retro subject matter of the couple kissing. My hope is that when others view the image, they not only appreciate the lighting and shadowing, but also that the lighting aspects bring out the romantic aspects of the kissing couple. What the viewer will not know is the 44 years of marriage presented in our embrace! Technical Information: Canon 6d, Canon 24-105L lens at 67mm, 1/100th sec at F8, ISO 160 Manfrotto tripod. Peter Blackwood. Off White Balance - Clay Arnold. This abandoned house sits just before the roundabout located at Rt. 65 (Clover Street) and Rt. 251. It is perfectly shaped, but the missing windows, the weathered wood and brittle structure of the building leave a haunting impression. I first photographed the house on a summer evening and the warm oranges and yellows did not feel right. 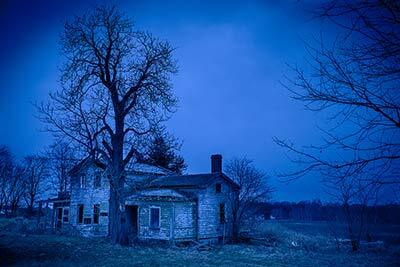 Then on a January 2016 morning shoot; I reached the house during the last moments of the "blue hour". Using a wide-angle lens, I took this photo while standing in the road. The tree in front of the house, as well as some of the branches from another tree in the right foreground, create an eerie feeling that reminds me of Boo Radley's house in To Kill a Mockingbird. But the key to the mood comes from enhancing the blues by shooting this in the "fluorescent" white balance mode - inspiring the name for the piece. 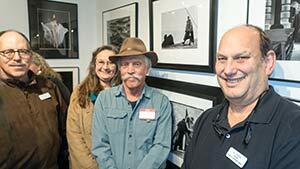 The Peter Nelson Photography Award is given in memory of Peter Nelson. Peter was an enthusiastic photographer, who eagerly shared his passion for photography. Peter was a long-time member and officer of Camera Rochester. He also exhibited at Image City. Camera Rochester and Image City are showing their appreciation of this dedicated photographer by giving the Peter Nelson Award to other deserving photographers. All 5 species of penguins in the region are there, plus black-browed albatross and many other birds. 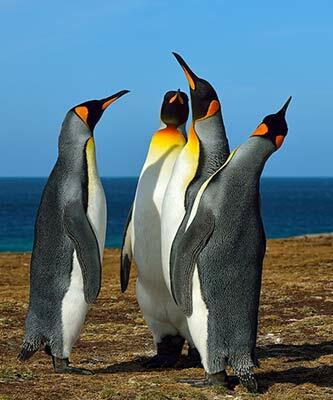 There are no land predators in the Falklands, and all critters seem quite calm about their odd giant-penguin-like visitors. We witnessed groups of Kings like this frequently. From fixed positions, they would suddenly begin a slow coordinated movement and then freeze for ~15s, only to move on to yet another formation. I felt determined to capture this fascinating social ritual, given its grace and beauty. Here, I was prone on the ground for the vantage desired, and waited for the sun to move along so as to project that shadow of the leftmost penguin onto the belly of its neighbor in full. 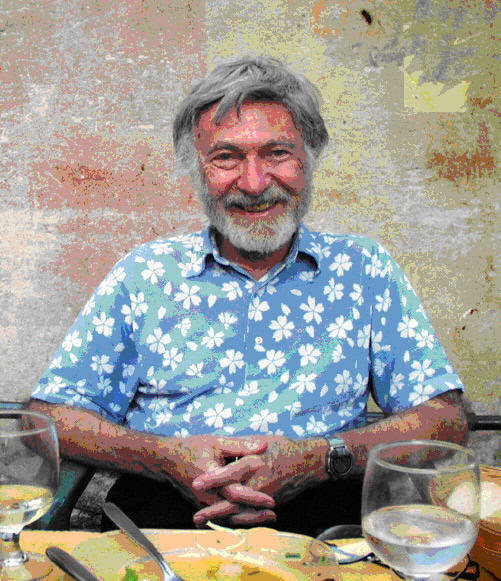 On January 23, with the passing of Dan Neuberger, we lost our dear friend and a gifted artist. In recent months Dan's health had been failing; he passed away after a short hospital stay. He will be missed by his many friends and associates. At Image City we will keenly miss his smile, his jokes, and his art; a founding partner, we will always remember his presence, participation, and creativity in the Gallery operation. The Partners, his many friends, and our visitors will long remember and miss him. His art lives on. In 2016 he was awarded a Lifetime Achievement Award by the Niagara Frontier Regional Camera Clubs at their annual banquet. Based on a video produced by Partner Carl Crumley for that event, Carl has a new video that summarizes the full life and art of Dan Neuberger, Click Here to view it and to read autobiographical comments that Dan wrote recently, as well as a selection of his photographs. We are planning a Retrospective of Dan's art at Image City at a future date. Dan also preplanned a memorial party, as he described it, for his many friends and acquaintances to celebrate his life and accomplishments. Details will be announced when firmly set. Our next meeting is Wednesday, March 1st, beginning at 6:30 pm. The assignment for March is to take photographs of things that are often not seen or ignored. Email Don for more information. dmenges@rochester.rr.com.